By the way: This great Communication for Development program is open for applications now!! Ruth Castel-Branco for Africa is a Country with a reminder that there are no 'natural disasters' in an age of climate change and that the #globaldev industry has done a poor job so far to put the resilience discourse into practice. Fritz Schaap and Sergio Ramazzotti for Spiegel Online International reporting from the Ebola front lines in DRC. The money collected by selling the food to the distributors can be transferred to those in need to enable them to buy it. If people have bank accounts and debit cards, as most Venezuelans do (courtesy of hyperinflation, which has wiped out the value of cash), then distributing money becomes a simple process of crediting the bank accounts of selected beneficiaries, which is unlikely to slow down the recovery because it can be done faster than distributing goods. The difficult part is to coordinate the arrival of the money in consumers’ accounts with the physical arrival of the additional goods on shelves: if it arrives too soon, inflation will ensue; if it arrives too late, the goods will not get to consumers in time. This mechanism has several distinct advantages over free distribution. Ricardo Hausmann for Project Syndicate. I'm not sure what to make of his proposal and I'm skeptical about the involvement of banks in this process, but perhaps this is a suitable idea for Venezuela? It’s about what we’re calling civil society. Whether before or after the revolution, the discourse is always on the formal or semi-formal organizations; as long as you had a name, a logo and at least two members, you were a civil society thing of some sort. The aspiration was always towards organization status, and many of those movements institutionalized, registering with the newly created Civil Society Commission and developing an administrative hierarchy. Part of this reason was the experience being gained over time, but the bigger and most compelling reasons was – drumroll please – international funding. The international community, operating on the multiple acronym-formal bureaucracy-do-you-have-a-finance-officer definition of civil society, would only grant funding to CSOs who were a) officially registered with any government entity and b) had a bank account. In the face of these constraints, organizations and movements picked up the tricks relatively quickly, and many people saw the opportunity of making money by setting up organizations just to get funding. BUT – and here comes the Whole Point of the Post – what about the non-official, ‘informal’ civil society? Dalya Alberge for the Guardian with a great piece on the Haida people & the excellent anthropological work led by Mark Turin at UBC! Sociologist Lasker, one of the few scholars studying the mission approach, found a strong preference among host country staff for programs that train local health providers. "One-off trips may help a few people for a lot of money but don't really have any long-term impact and may be harmful," she says. She has a litany of concerns about traditional-style missions in addition to travel costs. There's often little follow-up care by trained personnel, she says. It might be that no supplies or medications are left after a group departs — and no one trained in post-surgical needs such as speech therapy for cleft palate patients or physical therapy for burn patients. The care sometimes focuses on medical conditions that are not the main priority of the community — a village might be more interested in dental care than heart surgery, for example, or vice versa. Time often runs out before everyone in line can be seen. People who develop problems between visits don't get any help. The foreign health care providers may not have access to needed equipment, and when missions include students — not just medical and dental students but undergrads as well — they might not be trained to do what they're doing. Joanne Silberner for NPR Goats & Soda with an excellent feature on the past, present & future of medical volunteerism! In 2018, we interviewed 93 leaders from governments, multilateral agencies, foundations, multinational corporations, development NGOs, and private sector development contractors to assess their views on how global development is changing and how their own organizations are adapting. This research reveals a fragmented development ecosystem and an ever-expanding cast of players. It illuminates worries about how to stay relevant in a world that is heading in many different directions at once. During this upheaval, development leaders are innovating, harnessing technology in exciting ways, using data to drive decisionmaking, and empowering partners on the front lines. They are painfully aware that not all of their organizations are likely to accomplish their goals or continue to exist in their current form. Overall, the survey results paint a picture of a global development sector rife with experimentation and transition. George Ingram & Kristin M. Lord for Brookings with a new report that I definitely want to read more in detail! The viability of these anti-immigrationist policies and the ascendant power of the groups who peddle them, is sustained by the aggravated anxieties of Europeans wanting to preserve their perceived entitlements to neoliberal pursuits without many of the individuals who support that lifestyle through their exploited labor. 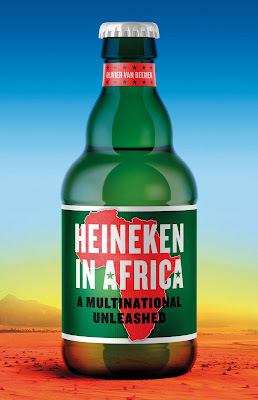 Many African nations, most of which are former European colonies, largely remain sources of extractable material and socio-political resources for European powers. Even in the case of countries like Israel and the US with anti-immigrant leaders who have faced pressure from rights groups, they can still impress their anti-immigrant base and activists by playing political football with human beings. Ampson Hagan for Africa is a Country with a reminder that 'evidence-based' good will and advocacy around migration and refugees is faced with stiff competition from right-wing nationalist discourses & practices. 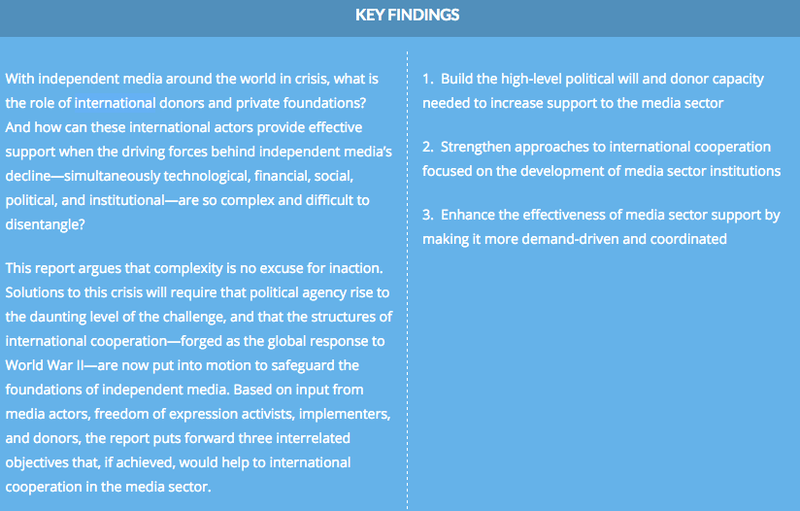 While media coverage might play a role in government thinking about how to respond to a crisis, there are more important factors at play—such as diplomacy, geopolitics, or even domestic politics. That said, the media can be instrumental in determining how a crisis is framed in the public eye—as a military problem, for example; or a humanitarian situation; or a climate change issue. Jessica Abrahams for Prospect revisits the ongoing debate about news media's role in framing crisis and perhaps even shaping humanitarian responses. Ian Morse for the New Humanitarian with a an example of localization of humanitarian news & communication. My desired results of all this? I hope these officials, agencies and nonprofits will become more open to coming to League events and promoting our resources. I hope they will see the League as a resource. I hope more people in general will attend our events and see us an election and legislative resource. I hope more people will pay and join the League of Women Voters Oregon Washington County Unit. I hope we will see more diversity among people who attend our local events and who join the League. Really enjoyed Jayne Cravens' look into the Twitter engine room of a small Washington State based grassroots organization! Isabelle Cheng & Paolo Miriello-Lapointe for Jacobin with a reminder why interns in #globaldev should also join a movement for better, paid conditions! The European Interagency Security Forum with an important new guide. Women and girls also face sexual violence, including sexual exploitation and trafficking, in Italy. Less is known about the men and boys who undertake this journey. These knowledge gaps are of concern, given that an estimated 87.5 percent of refugees and migrants who have entered Italy via the central Mediterranean route since 2016 are men and boys, the latter of whom are largely unaccompanied. The Women’s Refugee Commission (WRC) conducted a qualitative exploratory study to examine the nature and characteristics of sexual violence perpetrated against refugee and migrant men and boys traveling the central Mediterranean route to Italy. The Women's Refugee Commission with a new study. Nicholas Benequista for the Center for International Media Assistance with a brand new report! In another map – our first country evidence and gap map for Uganda launched in February this year – we have combined impact evaluations, process evaluations and formative evaluations. We found around 500 evaluations of development interventions published in Uganda since 2000, most of which are little read and less used. (...) By putting them in the public domain we hope to increase the use of the evidence they contain. Howard White & Ashrita Saran for Campbell Collaboration share findings from their new project. Inger Mewburn for the Thesis Whisperer with insights into the reality of academic work & an encouragement to measure your time & think about (unpaid) labor.